Hello, who is walking around in high-heeled Crocs?! Because I know at least *some* of you are, that is, unless everyone is stockpiling them for the apocalypse. They seem like very practical roach-stomping shoes. And I’m all for comfortable shoes! But someone, please, explain! They really do look like they’re itching to be worn on board a space ship leaving Earth because Earth is dying…or in a garden with unfathomably tall weeds, I suppose. 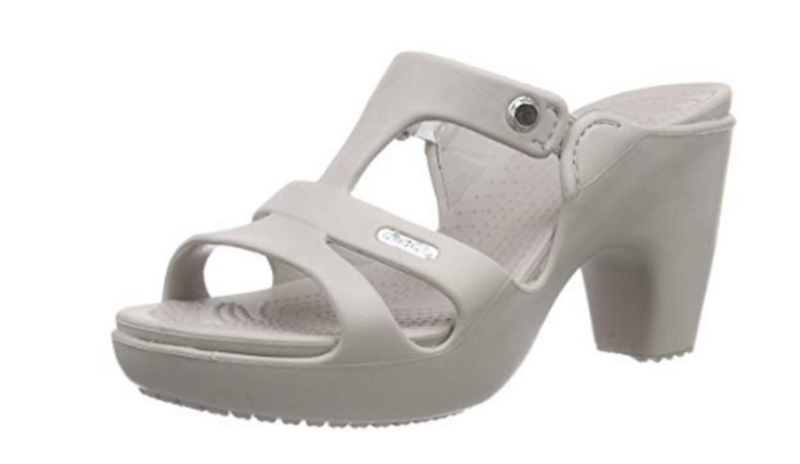 Final prediction: these Crocs heels go the way of fanny packs and bike shorts and end up on Kendall Jenner by September.